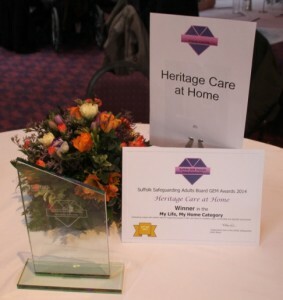 Heritage Care at Home were once again thrilled to have attended the Suffolk GEM (Going the Extra Mile) awards on the 1st February 2016 and delighted to be Highly Commended in the “My Life, My Independence” Category for 2015. 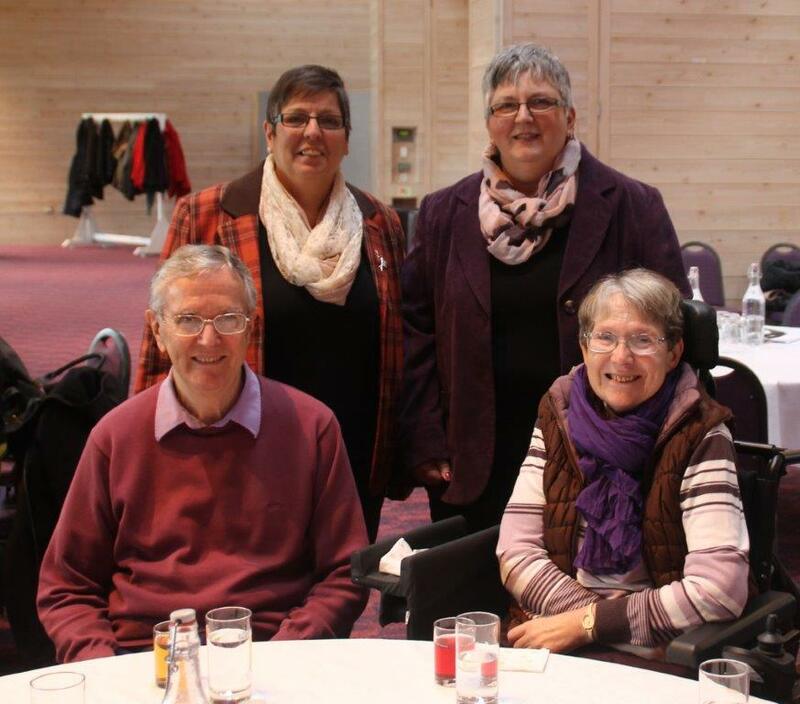 Heritage Care at Home Ltd (HCH) were very pleased to be able to share the day with some of our Carers and Customers alike. We would like to take this opportunity to thank all our Carers and Customers for their continued support. Heritage Care at Home are delighted to have won the “My Life, My Home” award at the Suffolk Going the Extra Mile (GEM) awards 2015. Heritage Care at Home travelled to Trinity Park in Ipswich on Wednesday 21st January to attend the Ceremony where the event was hosted by Suffolk County Council’s Safeguarding Team and supported by the Safeguarding Adults Board (SAB). “The standard of care provided by our staff is paramount. We have a small but dedicated team of Community Care Assistants who will always aim to deliver the highest standard of home care in a manner which promotes integrity, dignity and true personal choice.